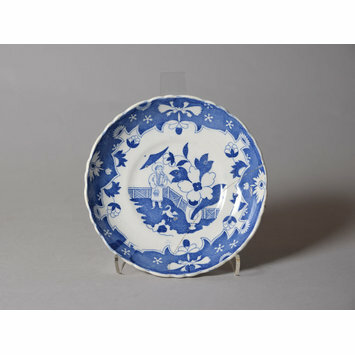 Saucer of earthenware transfer-printed with blue enamel in the Chinese style. In the middle is a Chinese garden scene with a boy carrying an umbrella. The rim has a conventional floral border. 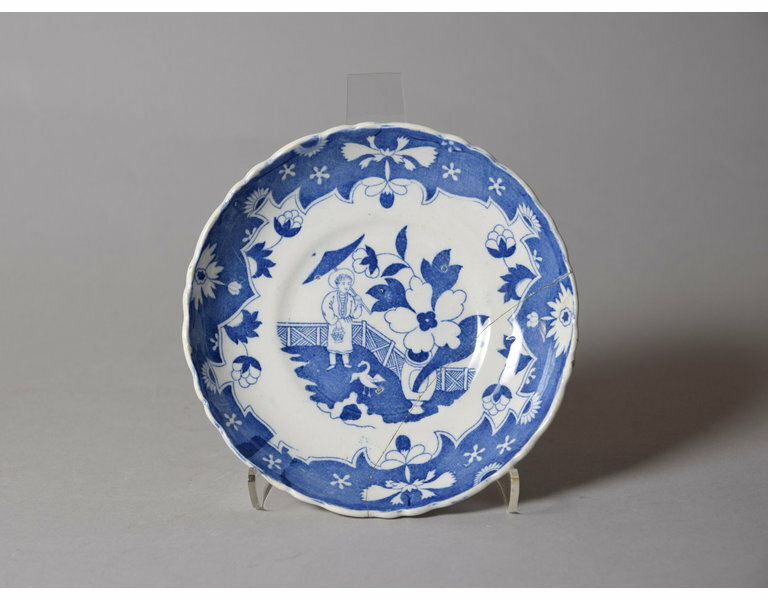 Saucer of earthenware transfer-printed with blue enamel, Staffordshire, first half of 19th century.